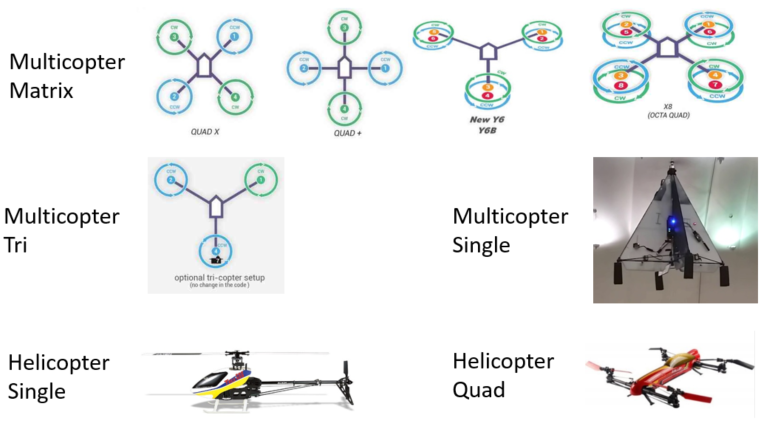 ArduPilot supports over 22 different multicopter frames. 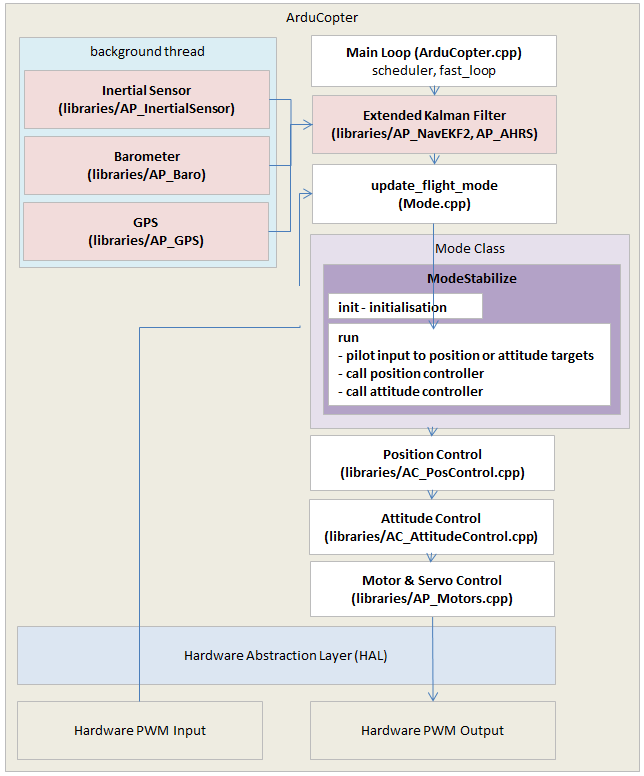 The Motors library is designed to consolidate the majority of the differences in these frame types from the higher level code including the attitude controllers and vehicle specific code. In other words the library provides a common interface so that all vehicles can be controlled in the same way without special handling being required in higher level code. Helicopter Single, Quad: vehicles with swashplates that can provide reverse thrust. These are peers of each other and children of the AP_MotorsHeli class. Set the limit flags to avoid “I-term build-up” in the attitude and throttle controllers. Although a vehicle will be flyable without setting these flags, they are important for protecting against overshoot in lean angle control and also for automatic landing detection. The limits are held in the AP_Motors_Class::limit variable. 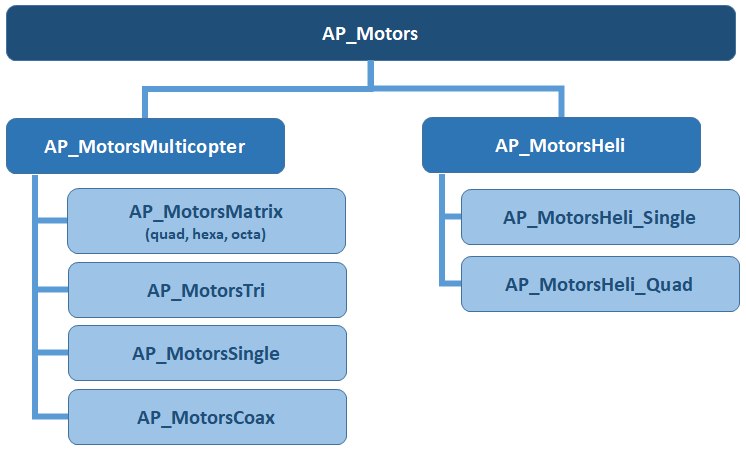 Use AP_MotorsMatrix::add_motor() or AP_MotorsMatrix::add_motor_raw() functions to set the roll, pitch and yaw factors for each motor on the vehicle. These factors are multiplied by the high level roll, pitch and yaw input from the attitude controllers and the result is then output to the motors. The above add_motor function’s testing_order argument specifies the order in which the motors should spin when the user initiates a motor test. Normally each motor’s testing order should be relative to its position on the frame in a clockwise direction.